"Central Bank" redirects here. For central banks named "Central Bank", see List of central banks. "Reserve bank" redirects here. For other uses, see Reserve Bank (disambiguation). Central banks in most developed nations are institutionally independent from political interference. Still, limited control by the executive and legislative bodies exists. Central banks implement a country's chosen monetary policy. At the most basic level, monetary policy involves establishing what form of currency the country may have, whether a fiat currency, gold-backed currency (disallowed for countries in the International Monetary Fund), currency board or a currency union. When a country has its own national currency, this involves the issue of some form of standardized currency, which is essentially a form of promissory note: a promise to exchange the note for "money" under certain circumstances. Historically, this was often a promise to exchange the money for precious metals in some fixed amount. Now, when many currencies are fiat money, the "promise to pay" consists of the promise to accept that currency to pay for taxes. A central bank may use another country's currency either directly in a currency union, or indirectly on a currency board. In the latter case, exemplified by the Bulgarian National Bank, Hong Kong and Latvia, the local currency is backed at a fixed rate by the central bank's holdings of a foreign currency. Similar to commercial banks, central banks hold assets (government bonds, foreign exchange, gold, and other financial assets) and incur liabilities (currency outstanding). Central banks create money by issuing interest-free currency notes and selling them to the public (government) in exchange for interest-bearing assets such as government bonds. When a central bank wishes to purchase more bonds than their respective national governments make available, they may purchase private bonds or assets denominated in foreign currencies. The European Central Bank remits its interest income to the central banks of the member countries of the European Union. The US Federal Reserve remits all its profits to the U.S. Treasury. This income, derived from the power to issue currency, is referred to as seigniorage, and usually belongs to the national government. The state-sanctioned power to create currency is called the Right of Issuance. Throughout history there have been disagreements over this power, since whoever controls the creation of currency controls the seigniorage income. The expression "monetary policy" may also refer more narrowly to the interest-rate targets and other active measures undertaken by the monetary authority. Frictional unemployment is the time period between jobs when a worker is searching for, or transitioning from one job to another. Unemployment beyond frictional unemployment is classified as unintended unemployment. For example, structural unemployment is a form of unemployment resulting from a mismatch between demand in the labour market and the skills and locations of the workers seeking employment. Macroeconomic policy generally aims to reduce unintended unemployment. Inflation is defined either as the devaluation of a currency or equivalently the rise of prices relative to a currency. Since inflation lowers real wages, Keynesians view inflation as the solution to involuntary unemployment. However, "unanticipated" inflation leads to lender losses as the real interest rate will be lower than expected. Thus, Keynesian monetary policy aims for a steady rate of inflation. A publication from the Austrian School, The Case Against the Fed, argues that the efforts of the central banks to control inflation have been counterproductive. Economic growth can be enhanced by investment in capital, such as more or better machinery. A low interest rate implies that firms can borrow money to invest in their capital stock and pay less interest for it. Lowering the interest is therefore considered to encourage economic growth and is often used to alleviate times of low economic growth. On the other hand, raising the interest rate is often used in times of high economic growth as a contra-cyclical device to keep the economy from overheating and avoid market bubbles. Further goals of monetary policy are stability of interest rates, of the financial market, and of the foreign exchange market. Goals frequently cannot be separated from each other and often conflict. Costs must therefore be carefully weighed before policy implementation. The Reserve Bank of India (established in 1935) Headquarters in Mumbai. The BSP Complex, in the Philippines. 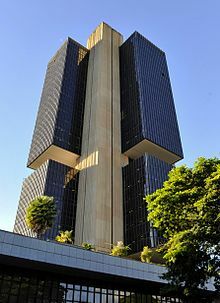 The Central Bank of Brazil (established in 1964) in Brasília. The Bank of Spain (established in 1782) in Madrid. The main monetary policy instruments available to central banks are open market operation, bank reserve requirement, interest rate policy, re-lending and re-discount (including using the term repurchase market), and credit policy (often coordinated with trade policy). While capital adequacy is important, it is defined and regulated by the Bank for International Settlements, and central banks in practice generally do not apply stricter rules. By far the most visible and obvious power of many modern central banks is to influence market interest rates; contrary to popular belief, they rarely "set" rates to a fixed number. Although the mechanism differs from country to country, most use a similar mechanism based on a central bank's ability to create as much fiat money as required. The mechanism to move the market towards a 'target rate' (whichever specific rate is used) is generally to lend money or borrow money in theoretically unlimited quantities, until the targeted market rate is sufficiently close to the target. Central banks may do so by lending money to and borrowing money from (taking deposits from) a limited number of qualified banks, or by purchasing and selling bonds. As an example of how this functions, the Bank of Canada sets a target overnight rate, and a band of plus or minus 0.25%. Qualified banks borrow from each other within this band, but never above or below, because the central bank will always lend to them at the top of the band, and take deposits at the bottom of the band; in principle, the capacity to borrow and lend at the extremes of the band are unlimited. Other central banks use similar mechanisms. The target rates are generally short-term rates. The actual rate that borrowers and lenders receive on the market will depend on (perceived) credit risk, maturity and other factors. For example, a central bank might set a target rate for overnight lending of 4.5%, but rates for (equivalent risk) five-year bonds might be 5%, 4.75%, or, in cases of inverted yield curves, even below the short-term rate. Many central banks have one primary "headline" rate that is quoted as the "central bank rate". In practice, they will have other tools and rates that are used, but only one that is rigorously targeted and enforced. "The rate at which the central bank lends money can indeed be chosen at will by the central bank; this is the rate that makes the financial headlines." – Henry C.K. Liu. Liu explains further that "the U.S. central-bank lending rate is known as the Fed funds rate. The Fed sets a target for the Fed funds rate, which its Open Market Committee tries to match by lending or borrowing in the money market ... a fiat money system set by command of the central bank. The Fed is the head of the central-bank because the U.S. dollar is the key reserve currency for international trade. The global money market is a USA dollar market. All other currencies markets revolve around the U.S. dollar market." Accordingly, the U.S. situation is not typical of central banks in general. Typically a central bank controls certain types of short-term interest rates. These influence the stock- and bond markets as well as mortgage and other interest rates. The European Central Bank for example announces its interest rate at the meeting of its Governing Council; in the case of the U.S. Federal Reserve, the Federal Reserve Board of Governors. Both the Federal Reserve and the ECB are composed of one or more central bodies that are responsible for the main decisions about interest rates and the size and type of open market operations, and several branches to execute its policies. In the case of the Federal Reserve, they are the local Federal Reserve Banks; for the ECB they are the national central banks. Marginal lending rate – a fixed rate for institutions to borrow money from the central bank. (In the USA this is called the discount rate). Main refinancing rate – the publicly visible interest rate the central bank announces. It is also known as minimum bid rate and serves as a bidding floor for refinancing loans. (In the USA this is called the federal funds rate). Deposit rate, generally consisting of interest on reserves and sometimes also interest on excess reserves – the rates parties receive for deposits at the central bank. Some central banks (e.g. in Denmark, Sweden and the Eurozone) are currently applying negative interest rates. Through open market operations, a central bank influences the money supply in an economy. Each time it buys securities (such as a government bond or treasury bill), it in effect creates money. The central bank exchanges money for the security, increasing the money supply while lowering the supply of the specific security. Conversely, selling of securities by the central bank reduces the money supply. Buying or selling securities ("direct operations") to achieve an interest rate target in the interbank market . Temporary lending of money for collateral securities ("Reverse Operations" or "repurchase operations", otherwise known as the "repo" market). These operations are carried out on a regular basis, where fixed maturity loans (of one week and one month for the ECB) are auctioned off. Foreign exchange operations such as foreign exchange swaps. All of these interventions can also influence the foreign exchange market and thus the exchange rate. For example, the People's Bank of China and the Bank of Japan have on occasion bought several hundred billions of U.S. Treasuries, presumably in order to stop the decline of the U.S. dollar versus the renminbi and the yen. The scale of QE is much larger. The central bank implementing QE usually announces a specific amount of assets it intends to purchase. The duration of QE is purposefully long if not open-ended. The asset eligibility is usually wider and more flexible under QE, allowing the central bank to purchase bonds with longer maturity and higher risk profile. In that sense, quantitative easing can be considered as an extension of open market operations. All banks are required to hold a certain percentage of their assets as capital, a rate which may be established by the central bank or the banking supervisor. For international banks, including the 55 member central banks of the Bank for International Settlements, the threshold is 8% (see the Basel Capital Accords) of risk-adjusted assets, whereby certain assets (such as government bonds) are considered to have lower risk and are either partially or fully excluded from total assets for the purposes of calculating capital adequacy. Partly due to concerns about asset inflation and repurchase agreements, capital requirements may be considered more effective than reserve requirements in preventing indefinite lending: when at the threshold, a bank cannot extend another loan without acquiring further capital on its balance sheet. Historically, bank reserves have formed only a small fraction of deposits, a system called fractional reserve banking. Banks would hold only a small percentage of their assets in the form of cash reserves as insurance against bank runs. Over time this process has been regulated and insured by central banks. Such legal reserve requirements were introduced in the 19th century as an attempt to reduce the risk of banks overextending themselves and suffering from bank runs, as this could lead to knock-on effects on other overextended banks. See also money multiplier. As the early 20th century gold standard was undermined by inflation and the late 20th century fiat dollar hegemony evolved, and as banks proliferated and engaged in more complex transactions and were able to profit from dealings globally on a moment's notice, these practices became mandatory, if only to ensure that there was some limit on the ballooning of money supply. Such limits have become harder to enforce. The People's Bank of China retains (and uses) more powers over reserves because the yuan that it manages is a non-convertible currency. The currency component of the money supply is far smaller than the deposit component. Currency, bank reserves and institutional loan agreements together make up the monetary base, called M1, M2 and M3. The Federal Reserve Bank stopped publishing M3 and counting it as part of the money supply in 2006. Central banks can directly control the money supply by placing limits on the amount banks can lend to various sectors of the economy. Central banks can also control the amount of lending by applying credit quotas. This allows the central bank to control both the quantity of lending and its allocation towards certain strategic sectors of the economy, for example to support the national industrial policy. The Bank of Japan used to apply such policy ("window guidance") between 1962 and 1991. To influence the money supply, some central banks may require that some or all foreign exchange receipts (generally from exports) be exchanged for the local currency. The rate that is used to purchase local currency may be market-based or arbitrarily set by the bank. This tool is generally used in countries with non-convertible currencies or partially convertible currencies. The recipient of the local currency may be allowed to freely dispose of the funds, required to hold the funds with the central bank for some period of time, or allowed to use the funds subject to certain restrictions. In other cases, the ability to hold or use the foreign exchange may be otherwise limited. In this method, money supply is increased by the central bank when it purchases the foreign currency by issuing (selling) the local currency. The central bank may subsequently reduce the money supply by various means, including selling bonds or foreign exchange interventions. In some countries, central banks may have other tools that work indirectly to limit lending practices and otherwise restrict or regulate capital markets. For example, a central bank may regulate margin lending, whereby individuals or companies may borrow against pledged securities. The margin requirement establishes a minimum ratio of the value of the securities to the amount borrowed. Central banks often have requirements for the quality of assets that may be held by financial institutions; these requirements may act as a limit on the amount of risk and leverage created by the financial system. These requirements may be direct, such as requiring certain assets to bear certain minimum credit ratings, or indirect, by the central bank lending to counterparties only when security of a certain quality is pledged as collateral. Although the perception by the public may be that the "central bank" controls some or all interest rates and currency rates, economic theory (and substantial empirical evidence) shows that it is impossible to do both at once in an open economy. Robert Mundell's "impossible trinity" is the most famous formulation of these limited powers, and postulates that it is impossible to target monetary policy (broadly, interest rates), the exchange rate (through a fixed rate) and maintain free capital movement. Since most Western economies are now considered "open" with free capital movement, this essentially means that central banks may target interest rates or exchange rates with credibility, but not both at once. In the most famous case of policy failure, Black Wednesday, George Soros arbitraged the pound sterling's relationship to the ECU and (after making $2 billion himself and forcing the UK to spend over $8bn defending the pound) forced it to abandon its policy. Since then he has been a harsh critic of clumsy bank policies and argued that no one should be able to do what he did. The most complex relationships are those between the yuan and the US dollar, and between the euro and its neighbors. US dollars were ubiquitous in Cuba's economy after its legalization in 1991, but were officially removed from circulation in 2004 and replaced by the convertible peso. Some have envisaged the use of what Milton Friedman once called "helicopter money" whereby the central bank would make direct transfers to citizens in order to lift inflation up to the central bank's intended target. Such policy option could be particularly effective at the zero lower bound. In some countries a central bank, through its subsidiaries, controls and monitors the banking sector. In other countries banking supervision is carried out by a government department such as the UK Treasury, or by an independent government agency, for example, UK's Financial Conduct Authority. It examines the banks' balance sheets and behaviour and policies toward consumers. [clarification needed] Apart from refinancing, it also provides banks with services such as transfer of funds, bank notes and coins or foreign currency. Thus it is often described as the "bank of banks". Many countries will monitor and control the banking sector through several different agencies and for different purposes. the Bank regulation in the United States for example is highly fragmented with 3 federal agencies, the Federal Deposit Insurance Corporation, the Federal Reserve Board, or Office of the Comptroller of the Currency and numerous others on the state and the private level. There is usually significant cooperation between the agencies. For example, money center banks, deposit-taking institutions, and other types of financial institutions may be subject to different (and occasionally overlapping) regulation. Some types of banking regulation may be delegated to other levels of government, such as state or provincial governments. Any cartel of banks is particularly closely watched and controlled. Most countries control bank mergers and are wary of concentration in this industry due to the danger of groupthink and runaway lending bubbles based on a single point of failure, the credit culture of the few large banks. Governments generally have some degree of influence over even "independent" central banks; the aim of independence is primarily to prevent short-term interference. In 1951, the Deutsche Bundesbank became the first central bank to be given full independence, leading this form of central bank to be referred to as the "Bundesbank model", as opposed, for instance, to the New Zealand model, which has a goal (i.e. inflation target) set by the government. Advocates of central bank independence argue that a central bank which is too susceptible to political direction or pressure may encourage economic cycles ("boom and bust"), as politicians may be tempted to boost economic activity in advance of an election, to the detriment of the long-term health of the economy and the country. In this context, independence is usually defined as the central bank's operational and management independence from the government. Central bank independence is usually guaranteed by legislation and the institutional framework governing the bank's relationship with elected officials, particularly the minister of finance. Central bank legislation will enshrine specific procedures for selecting and appointing the head of the central bank. Often the minister of finance will appoint the governor in consultation with the central bank's board and its incumbent governor. In addition, the legislation will specify banks governor's term of appointment. The most independent central banks enjoy a fixed non-renewable term for the governor in order to eliminate pressure on the governor to please the government in the hope of being re-appointed for a second term. Generally, independent central banks enjoy both goal and instrument independence. In return to their independence, central bank are usually accountable at some level to government officials, either to the finance ministry or to parliament. For example, the Board of Governors of the U.S. Federal Reserve are nominated by the President of the U.S. and confirmed by the Senate, publishes verbatim transcripts, and balance sheets are audited by the Government Accountability Office. In the 2000s there has been a trend towards increasing the independence of central banks as a way of improving long-term economic performance. While a large volume of economic research has been done to define the relationship between central bank independence and economic performance, the results are ambiguous. Institutional independence: The independence of the central bank is enshrined in law and shields central bank from political interference. In general terms, institutional independence means that politicians should refrain to seek to influence monetary policy decisions, while symmetrically central banks should also avoid influencing government politics. Goal independence: The central bank has the right to set its own policy goals, whether inflation targeting, control of the money supply, or maintaining a fixed exchange rate. While this type of independence is more common, many central banks prefer to announce their policy goals in partnership with the appropriate government departments. This increases the transparency of the policy setting process and thereby increases the credibility of the goals chosen by providing assurance that they will not be changed without notice. In addition, the setting of common goals by the central bank and the government helps to avoid situations where monetary and fiscal policy are in conflict; a policy combination that is clearly sub-optimal. Functional & operational independence: The central bank has the independence to determine the best way of achieving its policy goals, including the types of instruments used and the timing of their use. To achieve its mandate, the central bank has the authority to run its own operations (appointing staff, setting budgets, and so on.) and to organise its internal structures without excessive involvement of the government. This is the most common form of central bank independence. The granting of independence to the Bank of England in 1997 was, in fact, the granting of operational independence; the inflation target continued to be announced in the Chancellor's annual budget speech to Parliament. Personal independence: The other forms of independence are not possible unless central bank heads have a high security of tenure. In practice, this means that governors should hold long mandates (at least longer than the electoral cycle) and a certain degree of legal immunity. One of the most common statistical indicators used in the literature as a proxy for central bank independence is the "turn-over-rate" of central bank governors. If a government is in the habit of appointing and replacing the governor frequently, it clearly has the capacity to micro-manage the central bank through its choice of governors. 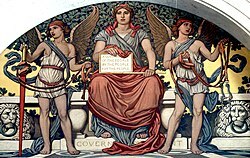 Financial independence: central banks have full autonomy on their budget, and some are even prohibited from financing governments. This is meant to remove incentives from politicians to influence central banks. Legal independence: some central banks have their own legal personality, which allows them to ratify international agreements without government's approval (like the ECB) and to go in court. It is argued that an independent central bank can run a more credible monetary policy, making market expectations more responsive to signals from the central bank. [by whom?] Both the Bank of England (1997) and the European Central Bank have been made independent and follow a set of published inflation targets so that markets know what to expect. Even the People's Bank of China has been accorded great latitude, though in China the official role of the bank remains that of a national bank rather than a central bank, underlined by the official refusal to "unpeg" the yuan or to revalue it "under pressure". The People's Bank of China's independence can thus be read more as independence from the US, which rules the financial markets, rather than from the Communist Party of China which rules the country. The fact that the Communist Party is not elected also relieves the pressure to please people, increasing its independence. International organizations such as the World Bank, the Bank for International Settlements (BIS) and the International Monetary Fund (IMF) strongly support central bank independence. This results, in part, from a belief in the intrinsic merits of increased independence. The support for independence from the international organizations also derives partly from the connection between increased independence for the central bank and increased transparency in the policy-making process. The IMF's Financial Services Action Plan (FSAP) review self-assessment, for example, includes a number of questions about central bank independence in the transparency section. An independent central bank will score higher in the review than one that is not independent. The use of money as a unit of account predates history. Government control of money is documented in the ancient Egyptian economy (2750–2150 BC). The Egyptians measured the value of goods with a central unit called shat. As many other currencies, the shat was linked to gold. The value of a shat in terms of goods was defined by government administrations. Other cultures in Asia Minor later materialised their currencies in the form of gold and silver coins. In the medieval and the early modern period a network of professional banks was established in Southern and Central Europe. The institutes built a new tier in the financial economy. The monetary system was still controlled by government institutions, mainly through the coinage prerogative. Banks, however, could use book money to create deposits for their customers. Thus, they had the possibility to issue, lend and transfer money autonomously without direct governmental control. In order to consolidate the monetary system, a network of public exchange banks was established at the beginning of the 17th century in main European trade centres. The Amsterdam Wisselbank was founded as a first institute in 1609. Further exchange banks were located in Hamburg, Venice and Nuremberg. The institutes offered a public infrastructure for cashless international payments. They aimed to increase the efficiency of international trade and to safeguard monetary stability. The exchange banks thus fulfilled comparable functions to modern central banks. The institutes even issued their own (book) currency, called Mark Banco. 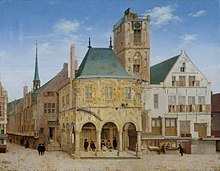 The old town hall in Amsterdam where the Bank of Amsterdam was founded in 1609, painting by Pieter Saenredam. In the early modern period, the Dutch were pioneering financial innovators who developed many advanced techniques and helped lay the foundations of modern financial systems. The Bank of Amsterdam (Amsterdam Wisselbank), established in the Dutch Republic in 1609, was a forerunner to modern central banks. The Wisselbank's innovations helped lay the foundations for the birth and development of the central banking system that now plays a vital role in the world's economy. Along with a number of subsidiary local banks, it performed many functions of a central banking system. The model of the Wisselbank as a state bank was adapted throughout Europe, including Sveriges Riksbank (1668) and the Bank of England (1694). Established by Dutch-Latvian Johan Palmstruch in 1668, Sweden's central bank, the Riksbank, is often considered by many as the world's oldest central bank. However it lacked a central function before 1904 since it did not have a monopoly over issuing bank notes. 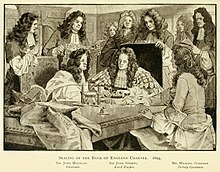 The establishment of the Bank of England, the model on which most modern central banks have been based, was devised by Charles Montagu, 1st Earl of Halifax, in 1694, following a proposal by the banker William Paterson three years earlier, which had not been acted upon. In the Kingdom of England in the 1690s, public funds were in short supply, and the credit of William III's government was so low in London that it was impossible for it to borrow the £1,200,000 (at 8 percent) needed to finance the ongoing Nine Years' War with France. In order to induce subscription to the loan, Montagu proposed that the subscribers were to be incorporated as The Governor and Company of the Bank of England with long-term banking privileges including the issue of notes. The lenders would give the government cash (bullion) and also issue notes against the government bonds, which could be lent again. A Royal Charter was granted on 27 July through the passage of the Tonnage Act 1694. The bank was given exclusive possession of the government's balances, and was the only limited-liability corporation allowed to issue banknotes. [page needed] The £1.2M was raised in 12 days; half of this was used to rebuild the Navy. 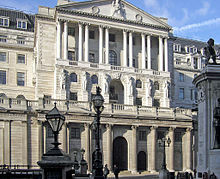 Although this establishment of the Bank of England marks the origin of central banking, it did not have the functions of a modern central bank, namely, to regulate the value of the national currency, to finance the government, to be the sole authorized distributor of banknotes, and to function as a 'lender of last resort' to banks suffering a liquidity crisis. These modern central banking functions evolved slowly through the 18th and 19th centuries. Although the Bank was originally a private institution, by the end of the 18th century it was increasingly being regarded as a public authority with civic responsibility toward the upkeep of a healthy financial system. The currency crisis of 1797, caused by panicked depositors withdrawing from the Bank led to the government suspending convertibility of notes into specie payment. The bank was soon accused by the bullionists of causing the exchange rate to fall from over issuing banknotes, a charge which the Bank denied. Nevertheless, it was clear that the Bank was being treated as an organ of the state. Henry Thornton, a merchant banker and monetary theorist has been described as the father of the modern central bank. An opponent of the real bills doctrine, he was a defender of the bullionist position and a significant figure in monetary theory. Thornton's process of monetary expansion anticipated the theories of Knut Wicksell regarding the "cumulative process which restates the Quantity Theory in a theoretically coherent form". As a response to the 1797 currency crisis, Thornton wrote in 1802 An Enquiry into the Nature and Effects of the Paper Credit of Great Britain, in which he argued that the increase in paper credit did not cause the crisis. The book also gives a detailed account of the British monetary system as well as a detailed examination of the ways in which the Bank of England should act to counteract fluctuations in the value of the pound. 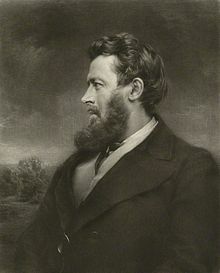 Walter Bagehot, an influential theorist on the economic role of the central bank. Until the mid-nineteenth century, commercial banks were able to issue their own banknotes, and notes issued by provincial banking companies were commonly in circulation. Many consider the origins of the central bank to lie with the passage of the Bank Charter Act 1844. Under the 1844 Act, bullionism was institutionalized in Britain, creating a ratio between the gold reserves held by the Bank of England and the notes that the Bank could issue. The Act also placed strict curbs on the issuance of notes by the country banks. …to avert panic, central banks should lend early and freely (ie without limit), to solvent firms, against good collateral, and at 'high rates'. Central banks were established in many European countries during the 19th century. Napoleon created the Banque de France in 1800, in an attempt to improve the financing of his wars. On the continent of Europe, the Bank of France remain the most important central bank throughout the 19th century. A central banking role was played by a small group of powerful family banking houses, typified by the House of Rothschild, with branches in major cities across Europe, as well as the Hottinguer family in Switzerland and the Oppenheim family in Germany. Although central banks today are generally associated with fiat money, the 19th and early 20th centuries central banks in most of Europe and Japan developed under the international gold standard. Free banking or currency boards were common at this time. Problems with collapses of banks during downturns, however, led to wider support for central banks in those nations which did not as yet possess them, most notably in Australia. Australia established its first central bank in 1920, Peru in 1922, Colombia in 1923, Mexico and Chile in 1925 and Canada, India and New Zealand in the aftermath of the Great Depression in 1934. By 1935, the only significant independent nation that did not possess a central bank was Brazil, which subsequently developed a precursor thereto in 1945 and the present Central Bank of Brazil twenty years later. After gaining independence, African and Asian countries also established central banks or monetary unions. 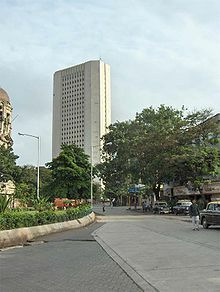 The Reserve Bank of India, which had been established during British colonial rule as a private company, was nationalized in 1949 following India's independence. The headquarters of the People's Bank of China (established in 1948) in Beijing. The People's Bank of China evolved its role as a central bank starting in about 1979 with the introduction of market reforms, which accelerated in 1989 when the country adopted a generally capitalist approach to its export economy. Evolving further partly in response to the European Central Bank, the People's Bank of China had by 2000 become a modern central bank. The most recent bank model was introduced together with the euro, and involves coordination of the European national banks, which continue to manage their respective economies separately in all respects other than currency exchange and base interest rates. Alexander Hamilton as Secretary of the Treasury in the 1790s strongly promoted the banking system, and over heavy opposition from Jeffersonian Republicans, set up the First Bank of the United States. Jeffersonians allowed it to lapse, but the overwhelming financial difficulties of funding the War of 1812 without a central bank changed their minds. The Second Bank of the United States (1816–1836) under Nicholas Biddle functioned as a central bank, regulating the rapidly growing banking system. The role of a central bank was ended in the Bank War of the 1830s by President Andrew Jackson when he shut down the Second Bank as being too powerful and elitist. In 1913 the United States created the Federal Reserve System through the passing of The Federal Reserve Act. There is no standard terminology for the name of a central bank, but many countries use the "Bank of Country" form – for example: Bank of England (which, despite its name, is in fact the central bank of the United Kingdom as a whole. The name's lack of representation of the entire United Kingdom ('Bank of Britain', for example) can be owed to the fact that its establishment occurred when the Kingdoms of England, Scotland and Ireland were separate entities (at least in name), and therefore pre-dates the merger of the Kingdoms of England and Scotland, the Kingdom of Ireland's absorption into the Union and the formation of the present day United Kingdom), Bank of Canada, Bank of Mexico, Bank of Thailand. The word "Reserve" is also often included, such as the Reserve Bank of India, Reserve Bank of Australia, Reserve Bank of New Zealand, the South African Reserve Bank, and Federal Reserve System. Other central banks are known as monetary authorities such as the Saudi Arabian Monetary Authority, Hong Kong Monetary Authority, Monetary Authority of Singapore, Maldives Monetary Authority and Cayman Islands Monetary Authority. There is an instance where native language was used to name the central bank: in the Philippines the Filipino name Bangko Sentral ng Pilipinas is used even in English. Some are styled "national" banks, such as the Swiss National Bank, National Bank of Poland and National Bank of Ukraine, although the term national bank is also used for private commercial banks in some countries such as National Bank of Pakistan. In other cases, central banks may incorporate the word "Central" (for example, European Central Bank, Central Bank of Ireland, Central Bank of Brazil). In some countries, particularly in formerly Communist ones, the term national bank may be used to indicate both the monetary authority and the leading banking entity, such as the Soviet Union's Gosbank (state bank). In rare cases, central banks are styled "state" banks such as the State Bank of Pakistan and State Bank of Vietnam. Many countries have state-owned banks or other quasi-government entities that have entirely separate functions, such as financing imports and exports. In other countries, the term national bank may be used to indicate that the central bank's goals are broader than monetary stability, such as full employment, industrial development, or other goals. Some state-owned commercial banks have names suggestive of central banks, even if they are not: examples are the State Bank of India and Central Bank of India. The chief executive of a central bank is usually known as the Governor, President or Chair. After the Financial crisis of 2007–2008 central banks led change, but as of 2015 their ability to boost economic growth has stalled. Central banks debate whether they should experiment with new measures like negative interest rates or direct financing of government, "lean even more on politicians to do more". Andy Haldane from the Bank of England said "central bankers may need to accept that their good old days – of adjusting interest rates to boost employment or contain inflation – may be gone for good". The European Central Bank and The Bank of Japan whose economies are in or close to deflation, continue quantitative easing – buying securities to encourage more lending. Collectively, central banks purchase less than 500 tonnes of gold each year, on average (out of an annual global production of 2,500–3,000 tonnes per year). In 2018, central banks collectively hold over 33,000 metric tons of the gold, about a fifth of all the gold ever mined, according to Bloomberg News. In 2016, 75% of the world's central-bank assets were controlled by four centers in China, the United States, Japan and the eurozone. The central banks of Brazil, Switzerland, Saudi Arabia, the U.K., India and Russia, each account for an average of 2.5 percent. The remaining 107 central banks hold less than 13 percent. According to data compiled by Bloomberg News, the top 10 largest central banks owned $21.4 trillion in assets, a 10 percent increase from 2015. ^ Compare: Uittenbogaard, Roland (2014). Evolution of Central Banking? : De Nederlandsche Bank 1814 -1852. Cham (Switzerland): Springer. p. 4. ISBN 9783319106175. Retrieved 3 February 2019. Although it is difficult to define central banking, [...] a functional definition is most useful. [...] Capie et al. (1994) define a central bank as the government's bank, the monopoly note issuer and lender of last resort. ^ Bank of Canada. "$5 and $10 Bank Note Issue". Retrieved 7 November 2013. ^ Compare states like Zimbabwe or Kosovo, which have special currency systems. ^ David Fielding, "Fiscal and Monetary Policies in Developing Countries" in The New Palgrave Dictionary of Economics (Springer, 2016), p. 405: "The current norm in OECD countries is an institutionally independent central bank ... In recent years some non-OECD countries have introduced ... a degree of central bank independence and accountability." ^ "Public governance of central banks: an approach from new institutional economics" (PDF). The Bulletin of the Faculty of Commerce. 89 (4). March 2007. ^ Apel, Emmanuel (November 2007). "1". Central Banking Systems Compared: The ECB, The Pre-Euro Bundesbank and the Federal Reserve System. Routledge. p. 14. ISBN 978-0415459228. ^ "Ownership and independence of FED". Retrieved 29 September 2013. ^ Reserve, Federal. "Fed stops publishing M3". press release. Federal Reserve Board. Retrieved 9 March 2006. ^ Chan, Szu Ping (26 June 2014). "Bank of England cracks down on mortgages". The Telegraph. ^ "Effectiveness of Window Guidance and Financial Environment – In Light of Japan's Experience of Financial Liberalization and a Bubble Economy – : 日本銀行 Bank of Japan". www.boj.or.jp. Retrieved 12 November 2017. ^ Rhodes and Yoshino. "Japan=s Monetary Policy Transition, 1955–2004" (PDF). ^ Baeriswyl, Romain (2017). "The Case for the Separation of Money and Credit". Monetary Policy, Financial Crises, and the Macroeconomy. Springer, Cham. pp. 105–121. doi:10.1007/978-3-319-56261-2_6. ISBN 9783319562605. ^ "The Simple Analytics of Helicopter Money: Why It Works – Always — Economics E-Journal". www.economics-ejournal.org. Retrieved 12 November 2017. ^ Stanley Fischer, "Central Bank Independence"
^ Banaian, Burdekin, and Willett, 1998 "Reconsidering the principal components of central bank independence: The more the merrier?" ^ Bank, European Central. "Why is the ECB independent?". European Central Bank. Retrieved 13 November 2017. ^ EU, Transparency International (28 March 2017). "Transparency International EU – The global coalition against corruption in Brussels". transparency.eu. Retrieved 13 November 2017. ^ "Privileges and immunities of the European Central Bank" (PDF). ^ Monetary practices In ancient Egypt. Money Museum National Bank of Belgium, 31 May 2012. Retrieved 10 February 2017. ^ Robin Teigland; et al. (2018). The Rise and Development of FinTech: Accounts of Disruption from Sweden and Beyond. Taylor & Francis. p. 113. ISBN 9781351183604. ^ Bagehot, Walter (5 November 2010). Lombard Street: a description of the money market (1873). London: Henry S. King and Co. (etext by Project Gutenberg). ^ Philippe Beaugrand, Henry Thornton, un précurseur de J.M. Keynes, Paris: Presses Universitaires de France, 1981. ^ Clifford Gomez (2011). Banking and Finance: Theory, Law and Practice. PHI. p. 100. ISBN 9788120342378. ^ Michael D. Bordo; Marc Flandreau; Jan F. Qvigstad (2016). Central Banks at a Crossroads: What Can We Learn from History?. Cambridge UP. pp. 1–17. ISBN 9781107149663. ^ Michael Stephen Smith (2006). The Emergence of Modern Business Enterprise in France, 1800–1930. Harvard UP. p. 59. ISBN 9780674019393. ^ Niall Ferguson, The House of Rothschild: Volume 1: Money's Prophets: 1798–1848 (1999). ^ Gabriele Teichmann, "Sal. Oppenheim jr. & Cie., Cologne." Financial History Review 1.1 (1994): 69–78, online in English. ^ Bray Hammond, "Jackson's Fight with the 'Money Power.'" American Heritage (June 1956) 7#4: 9–11, 100–103. ^ Miklos Sebok, "President Wilson and the International Origins of the Federal Reserve System—A Reappraisal." White House Studies 10.4 (2011): 424–447. ^ Howard Schneider; Balazs Koranyi (1 October 2015). "From heroes to bystanders? Central banks' growth challenge". Reuters. Retrieved 1 October 2015. ^ "Swiss love affair with gold could heat up again". ^ "Why Central Bank Buying Has the Gold Market Guessing". Bloomberg Businessweek. 29 October 2018. Retrieved 20 March 2019. ^ "Assets of central banks globally 2002-2017 | Statistic". Statista. Retrieved 20 March 2019. Acocella, N., Di Bartolomeo, G., and Hughes Hallett, A. , "Central banks and economic policy after the crisis: what have we learned? ", ch. 5 in: Baker, H. K. and Riddick, L. A. (eds. ), Survey of International Finance, Oxford University Press.